Wayne Thiebaud, Meringues. 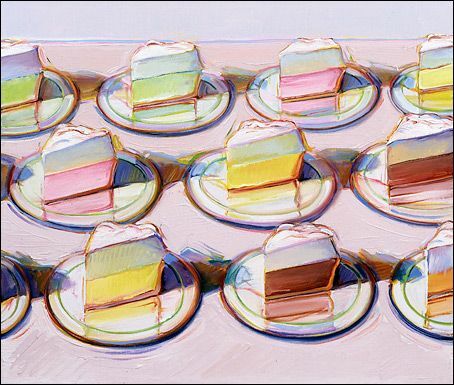 In Melissa Bell, "Wayne Thiebaud: Google, Cakes, and 49 Years of Art." BlogPost, The Washington Post, September 27, 2010. Web. 27 August 2013.